"This is a game that it doesn't matter the result, Chicha's going to score." 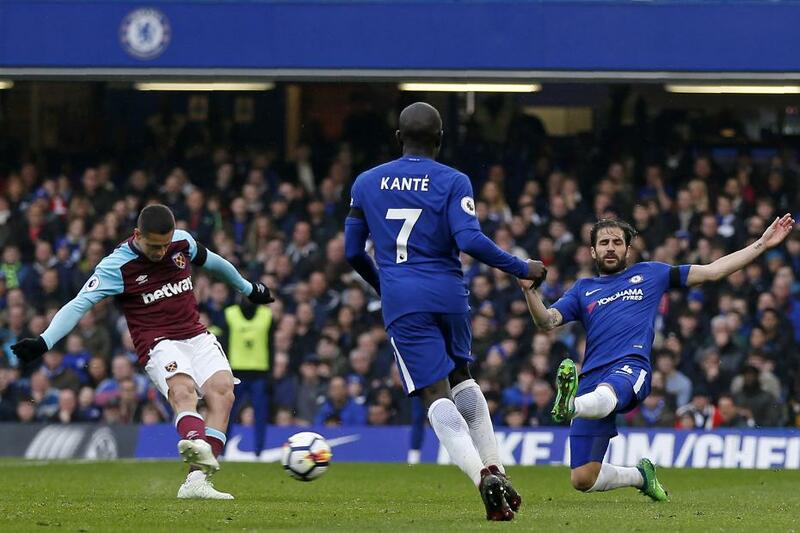 West Ham United striker Chicharito was joking when he said this immediately after his goal had helped the Hammers earn a 1-1 draw with Chelsea. But when Chelsea fans saw Chicharito on the West Ham bench for Sunday’s match, their concern would have been completely understandable. In the Mexican's three previous matches at Stamford Bridge he was named as a substitute, and on each occasion he came on to score. Chicharito duly made it four when, three minutes after being brought on by David Moyes, he converted Marko Arnautovic's cross to earn West Ham a point. Only one player has scored more substitute goals against Chelsea, Julian Joachim, with five. It was also Chicharito's 16th goal as a substitute, taking him only one from being joint second in the all-time Premier League rankings. Jermain Defoe leads on 24 substitute goals, followed by Olivier Giroud, Kanu and Ole Gunnar Solskjaer on 17 each. Giroud almost moved into sole ownership of second in the same match but the Chelsea striker saw his header tipped on to a post by Joe Hart 10 minutes after he came on.